Deep in the worst winter of their history, starving villagers are surprised by the arrival of a mysterious stranger. How has she crossed the snow-blocked mountain passes? How can they feed her when they struggle to feed themselves? Doors are slammed in her face, but a young boy helps her tease the community into making and sharing her very special Stone Soup. This lively adaptation shows the relevance of this ancient story today. 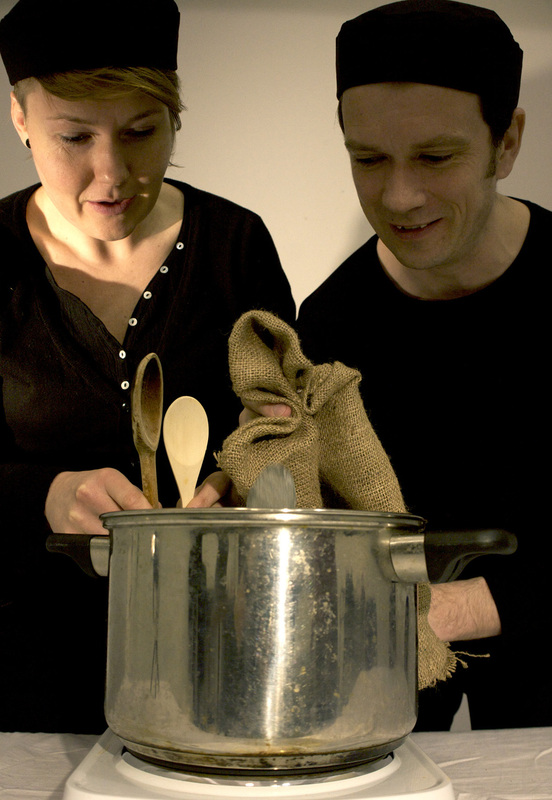 A ‘puppet show’ without puppets, in collaboration with performers Joe Moylan and Amy Conroy, it features live soup making and talking vegetables. 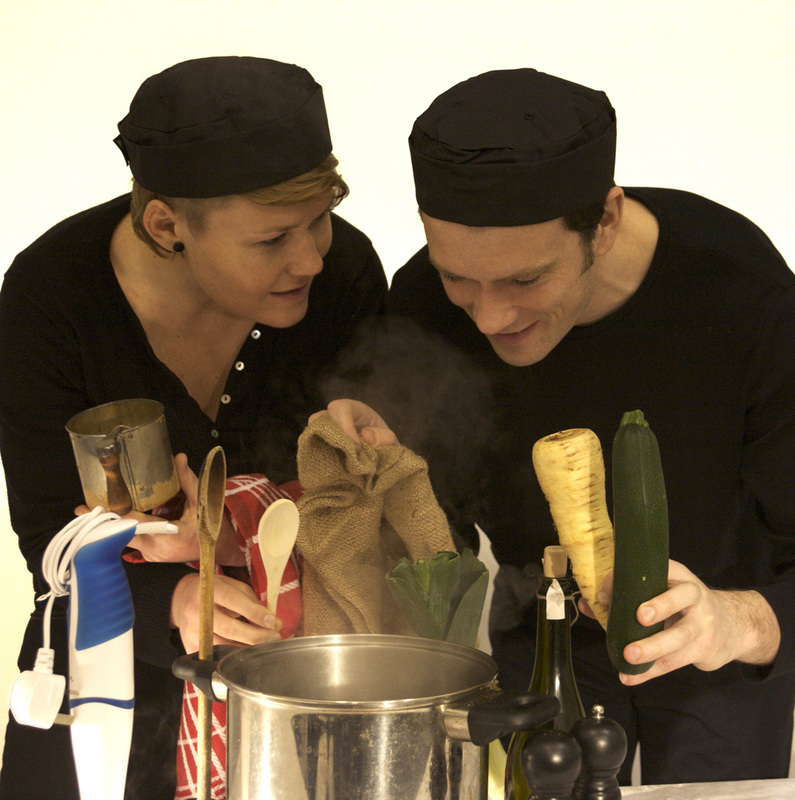 Performances can be followed by soup tasting and a discussion about the making of the show. 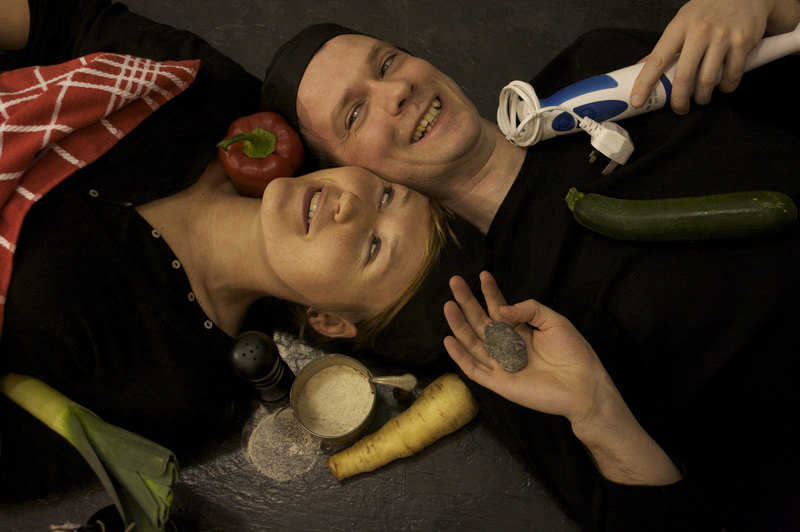 For children aged 5-10 years or a family audience. Capacity 100. Get in time approx three hours, re-setting one and a half hours. Two shows can be performed in one day. It may be possible to share the stage with another performance. Minimum stage requirements: 5.5 metres wide x 2.5 metres deep. Full black backdrop. Lighting requirements: Pre-rig : 2 x profile FOH. Focus – entire playing area but off 2 x lighting stands. All 4 lights are on as audience come in and there are no changes. A level should be set so that actors are brightly lit but that cold light from birdies (carried by company with own stands) can still establish when turned on.